Who Does Not Like Recognition? We all are fond of being praised and appreciated by others, didn’t we all worked hard to top in class. Organizations realized this could be a good tool for employee motivation. The employee who performs the best as per the standards is given the ’employee of the month’ award. Though the concept sounds interesting, it is not as simple as it looks. It certainly has its share of advantages and disadvantages. Let’s have a look at each of it in detail. What is the ‘Employee of the Month’? The employee of the month is a recognition given to an outstanding performer. It may be in a form of the gift, Gift certificate or a certificate with Thank you note. Some organizations have a wall of fame and the picture and name of the outstanding performer are put up there. Few companies have started with this form of recognition, but scraped it off within a few months, whereas few companies still think it is the best form of recognition and motivation. Thus, companies have been successful and unsuccessful while attempting to use an employee of the month award. Why Employee Recognition is Necessary? HR policies in organizations are well framed, the expectations are clearly jotted down in the job description, also if the performance is not as expected then we have performance improvement plans, wherein employee is given a period and asked to perform well. If he fails then that may lead to his termination. Therefore, if disciplinary actions are well stated for poor performance there should necessarily exist something for a good performance. Say, there are two employees, one is a hard worker and the other is an average performer, if both of them are getting the same benefit then the hard worker will feel demotivated. Thus, recognition in the form of ‘employee of the month award’ is a ‘pat on back’ gesture and a form of appreciation for the hard work. If an employer wants a continued excellence, recognition is of utmost importance. An award for best performance will make the employees strive hard to do their assigned tasks in the best way. In sales, a person with the highest sales figure, satisfied customers and good networking will have a chance of getting the award. Many times, organizations keep incentives as a form of motivation. Employee engagement means the sense of belongings to the organizations. An engaged employee sees the organizations goals and visions as its own and takes the effort to increase organizations reputation and interests. He is fully absorbed and enthusiastic for his work. An employee of the month increases employee engagement as a person works well when there are a reward and recognition at the end. Organizations pay to get their work done, if the work done by the employees is the best, then ultimately organization is making a profit. In addition, a reward in return for an employee makes him happy too. Thus, it is a win-win situation for both the employee and the employer. A perfectly set up incentive system and recognition methods will be a fair method to praise the employees who are doing well. Though it has certain benefits, it is harmful if not executed well. Many companies have scrapped the employee of the month program. Once an industry expert said, ‘one does not compare the cooking of our mom with your girlfriend and reward the ones who perform the best’ because while making one person happy you are making the other one unhappier. Mom and girlfriend both are dear to you, comparing them will cause unnecessary discord. However, it sounds a bit offbeat to compare personal relations with professional setup, but it does relate. As an organization, all employees are dear to you and are an asset to the company. It may cause discord and employees may harbor bad feelings. In a group of 100 people, if one is rewarded, then the 99 others are demotivated. While selecting the employee of the month, the selection is often subjective, the results, which are quantifiable, are focused more, but there can be people whose results are not quantifiable but they are the one who had an original idea, had guided and motivated the team to work harder. These efforts may have happened behind the scenes, but are an appreciable and valuable support to organization too. Hence, putting up one person on top may make other people resentful and they may feel that the organization is being impartial. It is hard to evaluate the efforts taken by employees; one cannot monitor them all the time. Hence, the whole employee of the month award goes in vain. Organizations need their workforce to work with their strengths and weaknesses together and bring out a favorable result. However, once the employees are competing against each other the overall outcome is not good. There should be a perfect balance in everything; employees must focus on their work and overall growth of the organization. When awards and incentives are kept, the whole focus is shifted to achieving it and employees may ignore other necessary tasks. Employees are required to understand the companies’ vision and shared goals and work together accordingly. By setting up rewards, companies are unable to inculcate the intrinsic motivation in the employee. Intrinsic motivation means, feeling motivated on their own without any extra means. Extrinsic motivating factors, condition employees to think ‘what will I get in return’, which is the most disengaged form of an employee. One company sent a handwritten note from CEO to employee’s mother and his wife stating how great he is working and how great they are to have him in their team, this is the excellent form of reward; one can get for their good work. This way the employer is not making others demotivated and the person who deserves to be appreciated gets the reward. Thus, the key should be to make the best employee know that you are grateful without putting him as a focal point of all. If the organization is confused about whom to appreciate, the best way is to thank the whole team. Thus we saw that there is a high probability that employee of the month award could go wrong. Here are a few steps that one can follow to get it right. We saw Employee of the month award can help in employee retention, employee engagement and for increasing productivity. One must have one HR objective in mind and set the award accordingly. Any employee recognition and other HR activities must have its objective aligned with the business goal. One needs to decide the basic outline and the mechanism of the reward program and delegate the responsibilities. It can require people who will coordinate, gather and compile the votes. The main point here is the voting criteria. Involve employees to set up the voting criteria, as it will make the process transparent and will assure them fair judgment. The objective must align to the business goal, if you are aiming at high productivity or sales target, then the criteria must be set on target achievement, revenue collection, relationship building, and proactivity. Other issues must also be addressed like who can vote when they will vote, the procedure to vote and the like. Most importantly, all should know about the procedure. Decide the rewards, for some team and for some objective, monetary gifts can be useful. However, some might feel an extra training to be a good reward or a day off from work as a good form of reward. Hence, choose wisely, it is best to have a discussion about it with the team itself. No system is full proof, one needs to do many trials and errors as per the requirement, assess the satisfaction level/productivity or employee engagement of the employees. Have a check whether the object that was set is being met. Directly communicate with employees and try to get an open feedback from them. It is advised to first identify the need and the objective of employee recognition and accordingly choose the path. 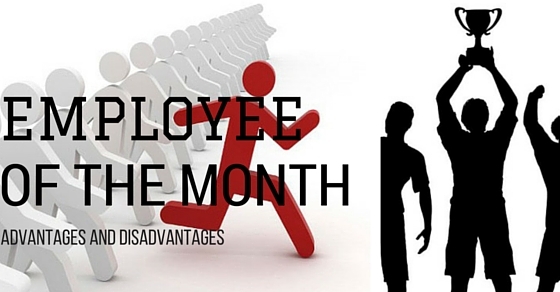 An employee of the month is a good way for motivating, though it is necessary to see it is not affecting negatively. Apart from an employee of the month following ideas can also help for employee recognition. Personally thanking the employee goes a long way. Thank an employee in front of superiors; introduce him or her to clients or to the higher authority of the company. Take efforts to highlight the excellent work done by the employee in important presentations and meetings. Give due credit to the deserved employee. Send thank you cards to employees along with some gift cards or a flower bouquet. It does not cost much and does an impeccable job of employee recognition and appreciation. You can get the thank you cards printed, or if the time permits, sending a handwritten thank you note is very valuable to the employee. One can display the picture of best performers on bulletin board or display pictures in the internal company website. Congratulate and thank them well. The recognition among all employees gives a boost to the performer. Gift cards from retail stores or petrol card are the best token of appreciation. Reason being its utility. A person can gift himself whatever he wants when a gift card is given to him. Have office get together and have some fun activities, or food parties, take this chance to appreciate all the team members and thank them for all the efforts that they put in. After a long and tiring month of work, an employee needs some relaxation, a free movie ticket for a couple or a favorite band or sports event will make him relax and have some fun. Activity like this promotes work-life balance, as he gets to spend quality time with family on behalf of the organization he works with. Give a day off for volunteer work, it is self-satisfying and also acts as a corporate social responsibility. Ask employees to visit old age homes or orphanage and do some good deed. The time they spend there can be considered as office working hours. Have some sports events and team building activities, which will help people, relax and be less formal. One can also take the team to an outing where food, sports, CEO Addressing, music can be arranged, it is a great way to unwind and be stress-free. One can get refreshed and rejoin work with new vigor and enthusiasm. Offer free training for knowledge enhancements or reimburse the cost of the training an employee wants to learn. Appreciate the zeal of learning and improvement. An employee with some special skill can be asked to guide some other group of employee. This activity will help him feel special due to the knowledge sharing and he will be recognized as a mentor by other staff members, which ultimately gives him a boost.